Today’s guest post has some great ideas on how to recreate classic fairytales into a bedroom decor. And keep it stylish. Enjoy! Do you long for the time when your days were bookended by a fantastical stories about princesses, magic spells and enchanted forests? When you fell asleep with thoughts of houses made of sweets, castles made of ice and beds piled high with mattresses lingering in your mind? 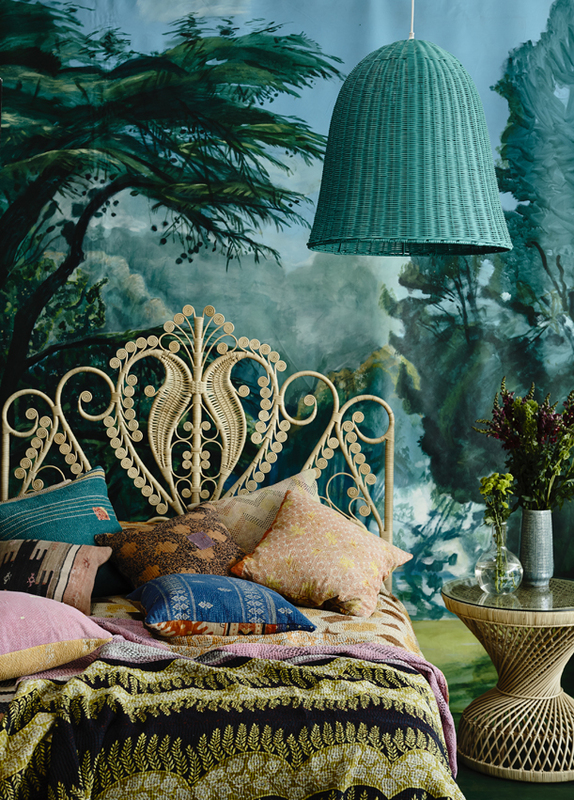 Then why not take design inspiration from your best-loved childhood fables to create a fairytale bedroom with a grown-up twist? With a little forethought and imagination, the results could be positively spellbinding. To get started on your fairytale adventure, keep reading. You don’t have to be C. S. Lewis to believe that wardrobes are magical places. After all, these bedroom staples house the clothes and shoes that allow you to make your personal style statement every day. For that fairytale touch, think large, antique-style, wooden wardrobes that you would’ve daydreamed about climbing into as a child. To feed the imagination, go for pieces with intricate carvings, curves and other charming design features. For something really special, take a look at what luxury bedroom furniture specialists have to offer. Colour should be no object either – whether you like traditional mahogany brown or playful pastels, you can get a wardrobe that wouldn’t look out of place in Narnia. The cornerstone of your fairytale bedroom, your bed should be exceptionally beautiful and comfortable enough to allow for a deep, 100-year-long sleep. If you’re looking for something fit for a real-life Sleeping Beauty, you can’t go wrong with a four-poster. Both classic wooden designs and contemporary metal models hold a certain make-believe appeal. Whatever you choose, you should bear the style of the rest of your room in mind. The last thing you want is a bed that sticks out like a sore thumb in your new sleeping chamber. Whatever kind of material you select for your bed, for the ultimate in regal luxury, you can’t go wrong with elegant bed drapes. Whether or not you have a Prince Charming to break you out of your slumber with a kiss, you can ensure that you always feel like a princess with some flowing fabric. You can’t complete a fairytale bedroom without a mirror. When it comes to this fundamental design feature, the saying ‘the bigger, the better’ rings true. A magnificent full-length mirror not only allows you to admire your complete outfit, it can also create the illusion of greater space in your bedroom. It’s a good idea to choose a mirror that complements your existing bedroom furniture. If you have a modern metal bed, perhaps consider an elaborately designed metal framed mirror. If you have a time-honoured wooden bed, maybe go for a curvaceous wood framed mirror with hand painted finishing. Whatever style you choose, don’t be afraid to make a spectacle with your new looking-glass. After all, how’s a girl meant to know who is fairest of them all without a mesmerising mirror? Remember when you’re creating the perfect fairytale bedroom, your only limitation is your imagination, so use interior design magazines and blogs, Pinterest boards and whatever else you can feast your eyes on as inspiration.